Oil and gas companies continue to tighten their capital expenditure belts, even with oil pricing off $30/bbl lows in early 2016. The limited capital remaining must be spent on the best opportunities. IPA’s latest web application, the Opportunity Assessment Toolkit (OAT), eliminates optimistic capital project estimates that skew opportunity comparisons, helping to prevent wasting capital on opportunities with questionable business cases and high uncertainty. In addition, at a time when project organization human resources are stretched thin, OAT delivers schedule metrics by development phase, shedding light on portfolio resource requirements. Before oil prices fell from highs of over $100/bbl mid-year 2014, many oil and gas companies tolerated project portfolios comprising weak or marginally profitable opportunities. Enough money was being made off of high-priced oil to justify economically marginal asset developments, regardless of the lost opportunity costs. That won’t do anymore. 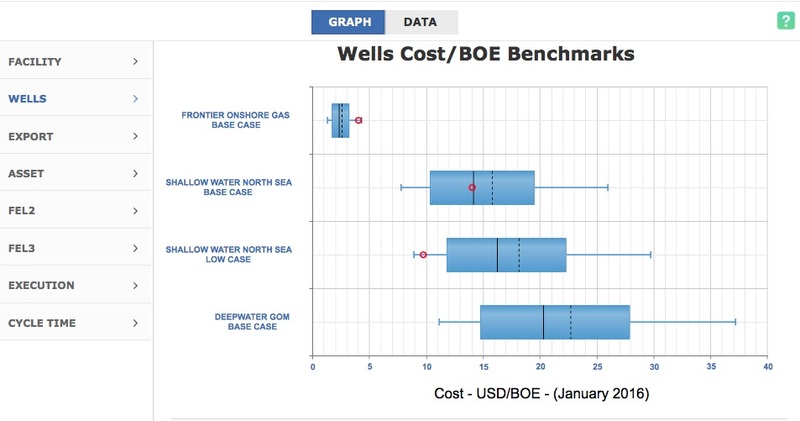 Using data from thousands of actual exploration and production (E&P) projects, OAT is able to quickly and easily assess the viability and marginality of upstream opportunities during bidding, exploration, or early development. The application helps companies understand an opportunity’s true development costs, thereby ensuring only the highest return opportunities receive increasingly scant capital funds. In less than 15 minutes, decision makers can have a full set of key decision metrics, including charts, to compare individual opportunities in a portfolio. By entering in a few basic project characteristics, the OAT application outputs benchmark metrics for cost and schedule and other key capital project decision metrics that influence early investment decisions. Project teams are freed from having to retrieve Basic Data for cost, schedule, and production estimates, which are often pulled from inherently biased information sources. Teams also don’t have to spend as much time looking up regional engineering, procurement, and construction cost trends. Knowing that initial asset development estimates made at the time of bidding on a block or exploring are based on optimistic data, OAT is a must-have application in a company’s arsenal of upstream opportunity assessment tools. Why? Because OAT benchmark metrics are derived from the most robust and comprehensive empirical database of real projects that exists in the world—IPA’s proprietary upstream capital projects database. OAT brings opportunity assessment realism back into the fold. Visit here to schedule a demonstration or to understand how OAT can save your company capital and decision making and improve your organization’s portfolio quality.